South Africa’s Justin Harding was upbeat about his display on Saturday as he kept himself in line for a run at the Green Jacket, writes WADE PRETORIUS. Only once has a debutant gone on to beat the field and win the year’s first Major – Fuzzy Zoeller in 1979 – but with 18 to play, there is belief in the Harding camp. Moving day was a rollercoaster for the field with the 33-year-old no exception. From early birdies to back to back bogeys and the grinding through the back nine, it was a day to exercise caution and control. It ultimately ended on a sweet note with a near 50-footer on the 17th getting him to within five of the lead. ‘It was a difficult day. I got off to a great start; actually, I thought it was me from that point onwards but it didn’t really turn out to be the case, ‘ said Harding. Harding is confident that he will continue to challenge with his putter behaving so far. ‘Look, I’ve been putting good, I felt like I’ve had good speed on the greens and I’ve read them pretty well, so it’s just a matter of trying to give yourself as many chances as you can. 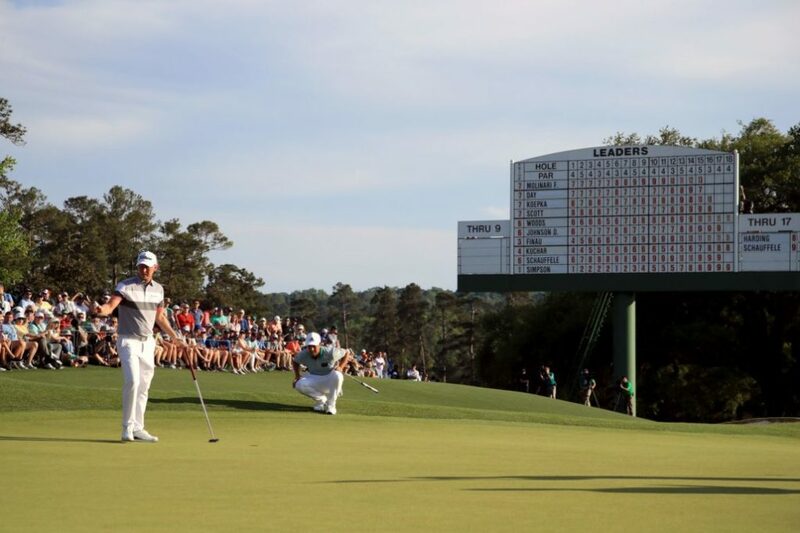 Overall, assessing his first moving day at Augusta National surrounded by some of the world’s best Harding was pleased with his performance.